Recently the Attack on Titan season 3 official clip released online and it was just too good. The fans got to see some of the main cast especially Eren Yeager, Mikasa and Armin. The members of the survey corps were promoted to the Levi squad which is a group of scouts who follow orders directly from Captain Levi. Apart from Eren , Mikasa and Armin other characters that were shown included Jean, Historia, Connie, Potato girl Sasha and especially fan favourite Captain Levi. The animators have certainly improved the animations as you can clearly more detailed facial expressions and the rest of the furniture polished. The translations are kinda off. Eren didn't say "she's already healed", he said "I saw her doing situps earlier", which explains why Jean would ask him "Were you peeping on her?" After seeing this I can surely say season 3 is going to be very good but season 4 is going to be phenomenal since we see the cast in the ocean in the clip at the end of season 2. Which explains that we will see the end of the return to Shiganshina arc. Can't say much about season 4 since a lot of viewers are from the anime and not following the manga. Hope you enjoyed the Attack on Titan season 3 official clip released. 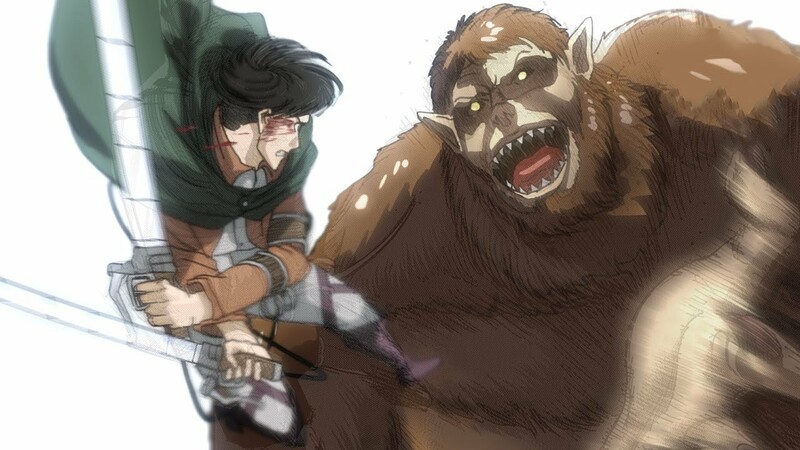 I will be breaking down all the episodes of attack on titan anime in the coming future on my blog. Don't forget to follow my blog Ali Khan Blogs on facebook for future updates on Attack on Titan .